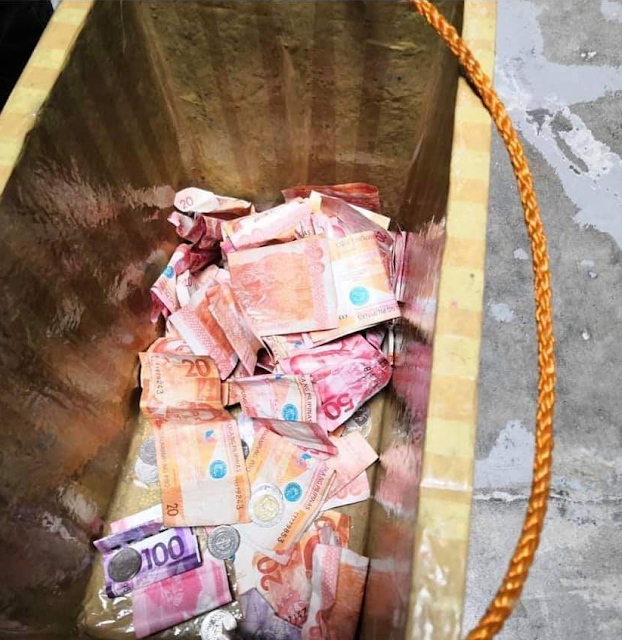 Davao, Philippines - Now a days it's hard to gauge one's honesty - people are somewhere between the spectrum of being extremely honest and dishonest. 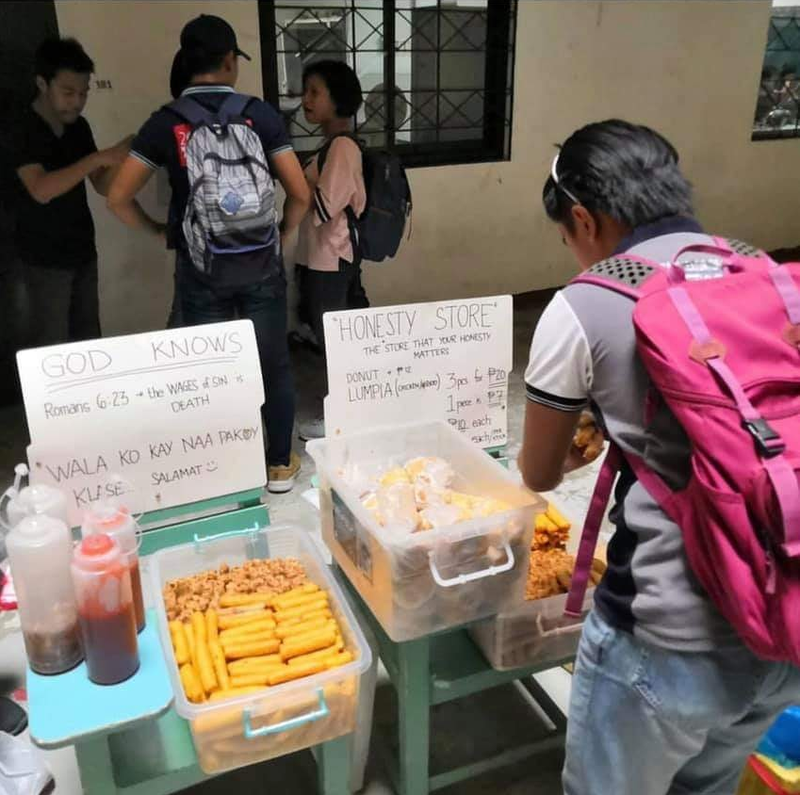 However, an engineering student from the University of Southeastern Philippines in Davao City opens his 'Honesty Store', living his food stall unattended in the school campus. Recently, a photo of unattended food stall has gone viral online with a word written in a cardboard "God Knows,""Romans 6:23 - the wages of sin is DEATH". He even wrote the word "WALA KO KAY NAA PAKO KLASE" ( I'm not around because I have classes, thanks). The 20-year-old Joenel Malanog was praised in social media for being a hard-working student. 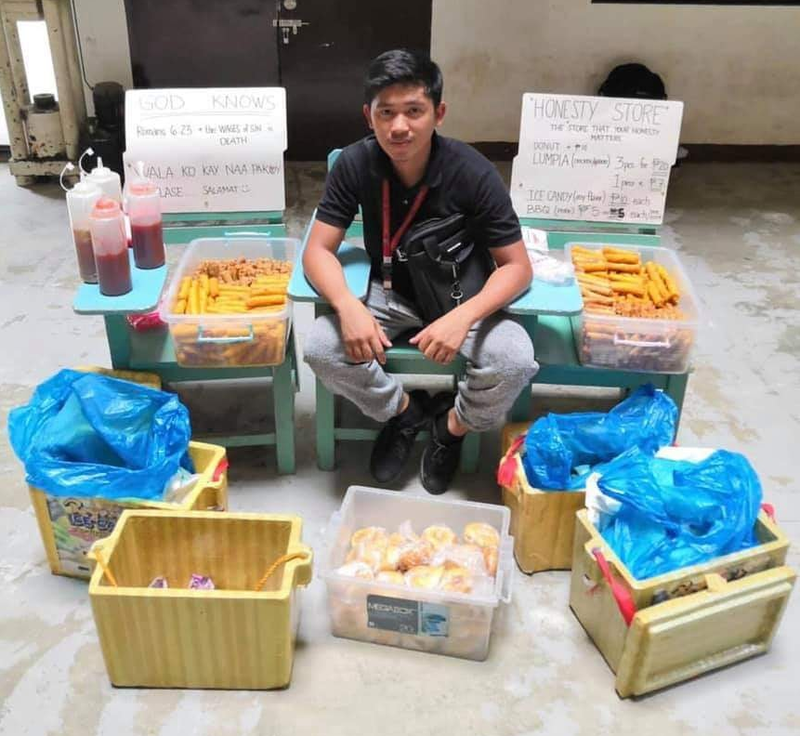 Due to his busy schedule, Malanog has nothing to do but leave his food stall unattended and gave the full trust to the people that will dropped by on his food stall to get some items. What's more impressive is that Malanog's earnings isn't just for his personal needs but also to help fund the education of his 4 siblings. Malanog sells lumpia, donut, ice candy and pork barbecue with the price listed on a cardboard pinned on a chair. Big thanks to all the students of the University of Southeastern Philippines for maintaining the kind gestures and honest environment.